Seekerville: The Journey Continues: Christmas in July – What Makes a Good Christmas Story? Christmas in July – What Makes a Good Christmas Story? Yeah, yeah, I know it’s August 1st, but as I’m typing this it’s still July, so humor me. 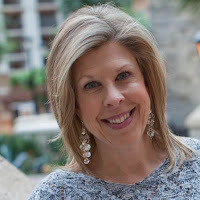 Besides, I’m fresh off the heels of the Hallmark Channel’s Christmas in July, so I thought this would be the perfect time to discuss Christmas stories. We all love a good romance, but build it around the holiday season and it’s like adding whipped cream to a hot fudge sundae. It’s sweeter and more indulgent. So what makes a good Christmas story? Just like any other story, the hero and heroine still need a goal, motivation and conflict. Yet now Christmas can be part of that conflict. 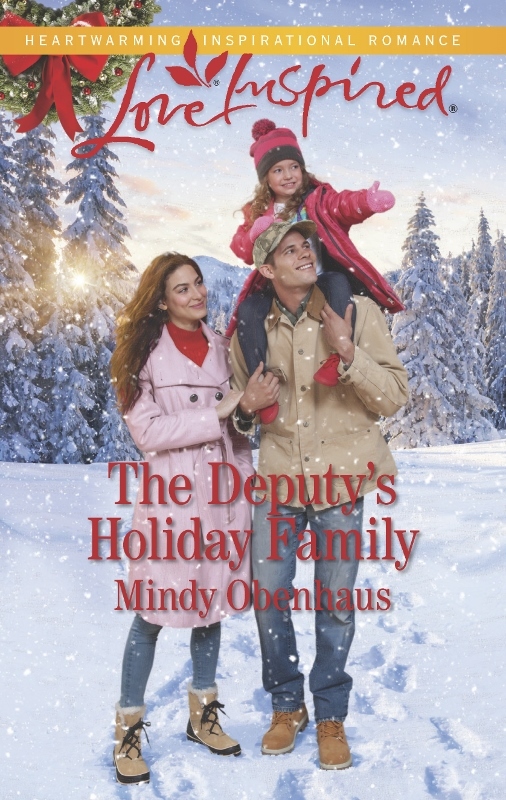 In my book The Deputy’s Holiday Family, the heroine is raising her 5 yo niece whose mother passed away earlier in the year and she wants nothing more than to give the little girl the best Christmas ever. Except our heroine recently lost her job and is forced to return to her hometown to stay with her mother for the holidays. Her Christmas-averse mother who forbids anything Christmas in her house. No tree, no lights, no music, nothing. 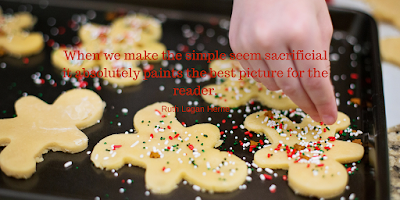 While many of the ingredients that go into a good Christmas story are the same as any other story, they’re elevated. Like the difference between custard and crème brulee (I’m obviously hooked on desserts today and crème brulee is one of my faves). Let’s take a look at some of those necessary components. Since I’ve only written one Christmas story, I thought I’d ask someone with more experience about some of her favorite holiday themes. Even if you’re not writing for the Christian market, you can still incorporate the true meaning of Christmas. Why do we celebrate and what makes it so special? There’s something about the holidays that we all react to, good or bad. The sights, sounds and smells trigger memories that can make us smile or want to withdraw from the world. Ruthy says, “A Christmas story should be rife with emotion. Loss or poverty or longing or guilt or sorrow.... these are the things that come to light in the Christmas season." All the feels. I love that. And she’s right. Ever notice how many Hallmark Christmas movies center around towns with extravagant Christmas celebrations. How do you feel about Christmas stories? Do you love them or feel like they’re over done? Have you ever written or wanted to write one? What elements do you feel are crucial? What can you do without? Oh, and since we’re talking Christmas, let’s giveaway some presents. 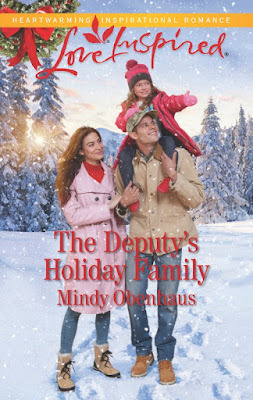 I’m going to give one copy of my book, The Deputy’s Holiday Family, to THREE lucky commenters. Good luck! I LOVE Christmas stories. I never grow tired of the ones that highlight the true meaning of Christmas. The sacrificial ones even more so because THE first Christmas was all about sacrificial love. The Christmas stories that don't really highlight that are okay... But those I might get tired of. I have a Christmas short story percolating in my mind. One of these days I hope to set it to paper. Great post! Sign me up for more Christmas books anytime! Deb, congrats on being first, LOL! What I don't like in a 'Christmas' story is when it's just a regular story that happens to have a Christmas in it. Christmas itself was not needed for the story. I read one Christmas novella where the father and daughter were very poor and they had nothing to decorate their shack with and so Christmas day came and went as any other day. Of course, Christmas was not the point of the story other than showing how poor in spirit the little family was. However, it was otherwise a good story as a regular novella. In a good Christmas story the Christmas date itself is very important. Something must happen or need to happen by Christmas. Also the story could only have taken place at Christmas. The joy of Christmas should be leveraged by the romance taking place so that the emotional outcome of reading the story is much greater than in a non-Christian romance or a mainstream story that simply has a Christmas in the background. In other words, I want the Christmas elements of the story to at least double the pleasure of experiencing the HEA. When you must write very emotional copy, it really helps to be in the right mood to write it. If you're not in the mood you'll produce too many clichés. I never have considered writing a Christmas story but now I think I should consider it. I'd like to do a novella and make Thanksgiving an essential foundation for the Christmas HEA. I'd like Thanksgiving to double the emotional impact of the normal HEA and then have Christmas double that…all with suprises along with way. Vince, IMHO, a story that simply has Christmas in it isn't a Christmas story. Christmas has to be the focus. And I love what you said. "In other words, I want the Christmas elements of the story to at least double the pleasure of experiencing the HEA." Yes, yes, YES! I love that insight into ad writers. You gotta be inspired. If you're writing about Christmas, it needs to feel like Christmas. And I think you should write a Christmas story. Again, I love what you said in that last paragraph. I think that's something I'd enjoy reading. Vince, I agree. A Christmas story has to matter. Good morning, Seekerville! Coffee and tea are on and, keeping in the spirit, there's even some spiced cider. And don't forget to grab a Christmas cookie. They're tasty no matter what the time of year. Glynna, there's a reason Hallmark does Christmas in July. We like that "feeling" of Christmas. And the fact that there's snow is a nice change to summer's sweltering heat. Mindy! Splendid, splendid. I agree, emotions are magnified around The Holidays. (I'm including the whole arc from Thanksgiving to New Year's.) That's why churches have Blue Christmas services and psychiatrists/psychologists/counselors have larger case loads. Everything is "bigger" at Christmas. Even for nonbelievers. Who envy all the Norman Rockwell stuff even if they don't "get it." Like Glynna, I read Christmas stories during the off season. They make me smile. And like Ruthy, I believe there's more than just colored lights and hot chocolate. This is where Hallmark falls short. Plenty of goodwill, not enough Jesus. I'm working on a couple of contemporary Christmas romances right now, and trying to bring that forth for my H and H. "The Word became flesh and dwelt among us." When they see that, my people will have their Happy Ending. Kathy, Christmas is, indeed, more than just colored lights and hot chocolate. But I do love the lights. Some people call it the world's view of Christmas. I like to call it the biggest birthday celebration in the world, especially when I do my decorating, which can be kinda over the top. Only the King of kings is deserving of such a celebration. And I love that you brought up "The Word became flesh and dwelt among us." Now there's some inspiration. Oh, Mindy, I love the lights too. And I have COLORED ones, which annoy my daughters no end. I love shopping, baking, music, parades, kiddie Christmas pageants and even the crowds. Jesus wants us to have Fun on His Birthday. I'm not a fan of "Grandma Got Run Over By a Reindeer" or "Crappy the Christmas Dog" (don't ask), but I love the trappings as long as they don't get tasteless. I've also made peace with Santa and love the images of the Kneeling Santa. It's all about balance. Mindy, I would LOVE to see your over-the-top decorating! Can you do a post closer to Christmas and show us some photos? Okay, I won't ask, Kathy. Though I am curious. I have to admit, one of my favorite Christmas movies doesn't mention Jesus at all and that's A Christmas Story. It reminds me of growing up in Michigan, even though it's set almost 20 years before I was born. But I recall getting ready for deep-sea diving to go to school and sticking ones tongue to a pole. My taste buds finally forgave me. Love the Kneeling Santa, too. Will try to share some pics once we get into the holiday season. You might need to remind me, though. "It's A Wonderful Life" was all the more poignant because the climax happened on Christmas Eve. But one part always puzzled me. How could Mary Bailey (no relation) leave her children at home with the BANK EXAMINERS? LOL, Kathy. I actually assumed the bank collectors showed up while Mary was gone. It was definitely a different world back then. I do love that movie. And even though it's a secular movie, there are faith elements in there. Did you ever notice that, at the end, when George is back on the bridge, crying out for Clarence to help it, nothing happens, it doesn't start snowing again, until he says, "Please, God. Help me." That scene is what has endeared that movie to me. Only God can change things, including our perspective. Okay, I think I need to watch that movie now. Make that "crying out for Clarence to help HIM." That's what happens when I fail to proofread. Mindy, yes, there are faith elements and God is assumed. And God worked the miracle, not Clarence. Mindy, maybe the bank examiners went out and came back. This is a point I often debate with IAWL'ers. If they did then Mary must have left the children alone, but I guess that's okay, it's Bedford Falls in the 1940s, and the oldest boy is, what? 12? Perfectly capable. Not-so-fun fact: Jimmy Stewart still had a lot of angst from the war (he was a fighter pilot) after he came home and shot IAWL. The rage he felt in the bar scene and after was real and he scared his co-workers. We will never know what the Greatest Generation went through. Unless they write memoirs. Kathy, I seem to recall hearing that IAWL actually helped him deal with some of his PTSD. I'm also thinking that I heard Jimmy Stewart wasn't the producer's first choice to play George. Or maybe it was that he wanted Jimmy Stewart to play the role and JS turned him down initially. Might need to check that out. As for our greatest generation, there's a reason they're called the greatest. And back then, there wasn't the emphasis about getting in touch with our feelings, so most of them tamped it down and went on. But yes, we'll never know what they went through. Wow, I didn't know that about JS. I cannot imagine IAWL without him. Thanks for another IAWL fact to add to my archives. Kathy, it was Cary Grant. The company who originally bought the movie rights had him in mind for the lead. Later, when Frank Capra bought the rights from RKO, he recruited Jimmy Stewart. Cary Grant? Really? Shaking head. A great actor, but not George Bailey material. Hi Mindy Rading this post was kind of like watching Hallmark Christmas movies. I want to read every Christmas story ever written because I like them THAT much. I also love writing about Christmas. Something about that holiday allows us to believe special things can and will happen if we open our hearts to them. I think God loves to bless us at Christmas time. That's what these book are about. The real reason for the season. Cindy, yes, "special things can happen if we open our hearts." It is not like Any Other Time Of The Year. Cindy, I wholeheartedly agree with both you and Kathy. I always say that Christmas is a magical time of year, even though there's no magic involved. It's all Jesus. Even nonbelievers know there's something special about that time of year, which is probably why so many hate it. Heaven forbid they be "touched." In a state of changes right now, finished the drafts of two books and am not actively writing anything right now, but doing plot work on my next story, doing research, lining up ducks for ACFW, and doing beta reads for a couple of friends. Seems strange not to be actually writing. Miss it. Maybe I'll fool around with a novella while I'm plotting and researching the other story. Maybe a Christmas novella!!! Mindy, I'll be there. Find me! I look like my kaybee profile picture, only I'll have a deer-in-the-headlights look. Mindy and Kathy - May I join you? Sounds so fun!!! Cindy you are always welcome, on here or in person. Absolutely, Cindy. And Kathy, you won't be the only one with that look. Can't wait to meet both of you! Fun post, Mindy. I absolutely love Christmas books. The covers always draw me in. I just love everything Christmas. I have written Christmas short stories. In fact, on Monday I received a contract in the mail for another story from Pockets magazine (children's publication put out by The Upper Room.) It is called "Christmas Without Grandma" and is about a family celebrating the first Christmas without their grandmother and how the children learn that the memories and love of their grandmother is still with them at Christmas. I think I was writing this story for myself as well as tomorrow marks five months since I lost my mom and this will be the first Christmas without her. Oh, Sandy good for you, that sounds like a great story. Sandy, congratulations on the contract. And the fact that it was a healing story for you makes it even sweeter. Yes, those Christmas book covers are always so festive and fun. They truly set the tone. Okay, I could go on all day, especially since there are things I have to do that I don't want to do. Another good semi-secular story is Barbara Robinson's "The Best Christmas Pageant Ever," which shows the transformation of the Horrible Herdman children from being in a Christmas pageant. Not overtly "religious" despite the theme, but when Imogene has tears in her eyes during the pageant, we know Who's changing her. A fun evening is a marathon of "Elf" and Vince Vaughn's "Fred Claus" shown back-to-back. Neither mentions God but they're about as good as secular Christmas movies can be, and "Fred Claus" is about redemption. Sort of. Kathy, I have to admit, Will Ferrel has done some questionable movies, but Elf would not have been the same without him. That one usually kicks off our Christmas season. It's just a feel good, be happy no matter what kind of movie. I've never seen Fred Claus. Is it worth watching? It's okay for a secular Christmas movie. It's kind of like an "Elf" in reverse. and Mindy I agree about Will. This is about the only thing I CAN watch him in. Sigh. So much talent, so little taste. g in quickly, because who doesn't love talking about Christmas - July, August, no matter. My LIS debut, Christmas in Hiding, was set at Christmas. Surprise! The heroine adores Christmas, but she just landed in Witness Protection.I loved using all the Christmas feels as the hero did his best to give her Christmas even though they were on the run. I was writing the book in April and May that year, so I pretty much had Christmas music on repeat and I drank endless pots of peppermint tea. Mary Cate, I don't usually read suspense, but I now need to go read your book. And I will be meeting you over at the café shortly. Especially now that I know you've got blueberry crumble. I've still got blueberries in the fridge. We're having some work done on the house today, though, so I'm having to babysit the workers. Not that they need babysitting, but I always feel the need to be "available." I loved this book so much! I read it on a trip in one sitting, Cate... Oh, happy day! Mindy, thank you so much for including me on this. I love Christmas stories... one of my goals was to write a Christmas story each year... and I've pretty much done it! Some are novellas, and some are novels and it's all good because I love the ups and downs of the holiday season. While it's hard for some, that struggle is real and I love it when a story helps bestow the peace and joy of the season on the characters... especially when they've suffered loss of family or friends or divorce... Life hands out some tough curves at times, and not all of them are twinkle light friendly! Sad, but true, Ruthy. Sometimes it's hard to celebrate. That's when we need to be reminded most that Jesus is the reason for the season. When our focus is on Him, WE do better. Silly me. Ruthy, I was caught up in my response that I forgot to thank you for your input on this post. I couldn't have done it without you. As far as I'm concerned, you're the queen of Christmas books. Hi Mindy! Very timely post as I'm trying to wrap up my first Christmas story for an anthology I'm doing this year. Sadly, I missed the Hallmark Christmas movies. I guess I need to subscribe to the app, lol. Anyway, thanks for the post, you gave me some great ideas! Merry Christmas! LeAnne, Ruthy is full of wonderful ideas, especially when it comes to Christmas stories. Congrats on yours! My next story in the pipeline is a Christmas novella. I've never written a novella, and I've never written a Christmas story, so I need all the help I can get! Definitely going through this one again as I work on my synopsis! Glad to be of assistance, Jan. Hope you were able to glean some inspiration. Ruthy shared some fantastic nuggets. Love Christmas books (and movies)...please count me in the drawing! Love Christmas year round including books and movies. I am having a challenging day with the vertigo,but have managed to read 2 chapters in a book and write 372 words. Hopefully I will get more of both done while I basically sit or lie down with as little movement as possible so I don't fall. Even though this is my lot for the day and possibly the next week due to the weather, the Lord is so good and I can trust in Him. 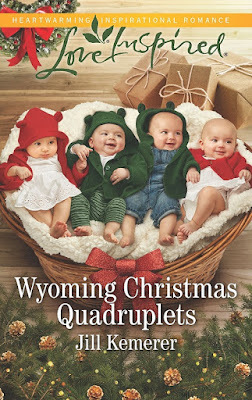 I am looking forward to all the upcoming new Christmas stories especially Jill's book about the Quads. Please enter me in the drawing. Doesn't that look like an interesting book, Wilani? I can't wait for that one either. I'm sorry you're dealing with vertigo, though it sounds like you've been productive. Fortunately, we can read lying down. And yes, God is good, even when we're not feeling so well. Mindy, I love Christmas stories, too! I agree that emotion is huge in these stories. And memories--happy and sad (like you said). Now you've got me craving lights and a tree and decorations! But I refuse to cave and start way too early. I'm sure we'll see stuff in stores soon. We saw Halloween stuff at the grocery already! I've seen a few fall items at our little Walmart, but no Halloween stuff yet. School starts in two weeks, though. Once that happens, the back-to-school stuff will be replaced with Halloween and, before we know it, Christmas! I've been watching Christmas in July, too, Mindy!!! Oh my gosh! Usually I can only get Hallmark movies on the weekends. For the last two weeks, they've played every night. And I've watched almost every night. Sometimes two movies in one night! So fun! 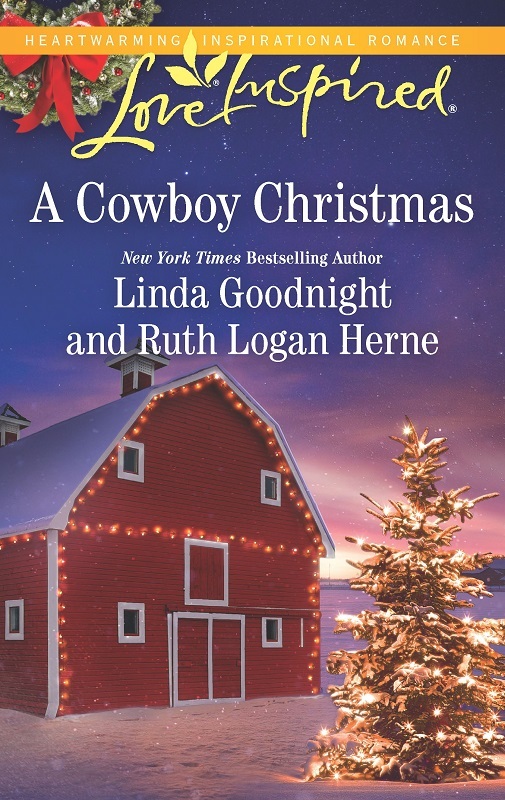 I've published two Christmas novellas and my October release, AMISH CHRISTMAS SECRETS, is a Christmas story as well. 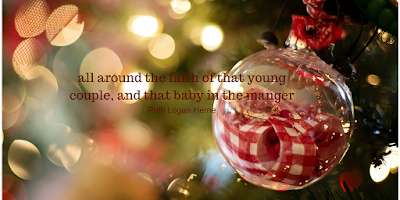 Everything that I love about writing romance seems magnified when I add a Christmas backdrop! The emotion is more intense, the romance, the conflict...it's all heightened, which makes for a great story. Loved the conflict in your Christmas book...a mother who doesn't like Christmas and a woman needing to provide the best Christmas ever for her niece! What a perfect setup! I'm reaching for a Christmas cookie and a mug of eggnog. Care to join me? You got it, Debby. Cookies and egg nog. Cheers! Books to get and read in November. But Kim, that leaves so little time. Are you one of those speed readers? My first publishing credit was a Christmas novella. I listened to Christmas music in my car to get me in the mood. And, in the spirit of Christmas, when I ordered a book on Amazon for my younger son's high school class, I picked up one of me favorite Christmas movies, The Bells of St. Mary's, to get me over $25 dollars to qualify for free shipping. I love it, Walt. Free shipping is always a good thing. And I always keep a couple of Christmas CDs in my car. Sometimes to get me in the spirit, sometimes I just need a good pick-me-up and Christmas music is always good for that. I love Christmas anything! I'm planning on making one of the future books in my contemporary Christian Romance series about the woes of a newlywed planning her first Christmas. Lila, that should make for an interesting story. It's never to early to start planning, in either books or Christmas. I like Christmas stories but prefer them in the winter months. My favorite seasons are the moderate weather ones. Paula, depending on where you live, moderate weather can be just about anytime. In Texas where I live, right now is when I prefer to stay inside because of the blistering heat, while Ruthy in western New York hunkers down during the winter months. How Many Fans Read Christmas Stories in July? It's one thing to write Christmas stories in July. That's totally understandable. What I'd like to know is: "How many romance fans read Christmas stories in July"? I'll bet it is a lot less. There is just something about being in the Christmas season that gives reading Christmas romances so much more verisimilitude. Indeed Christmas romances are now as much a part of Christmas as Christmas carols. 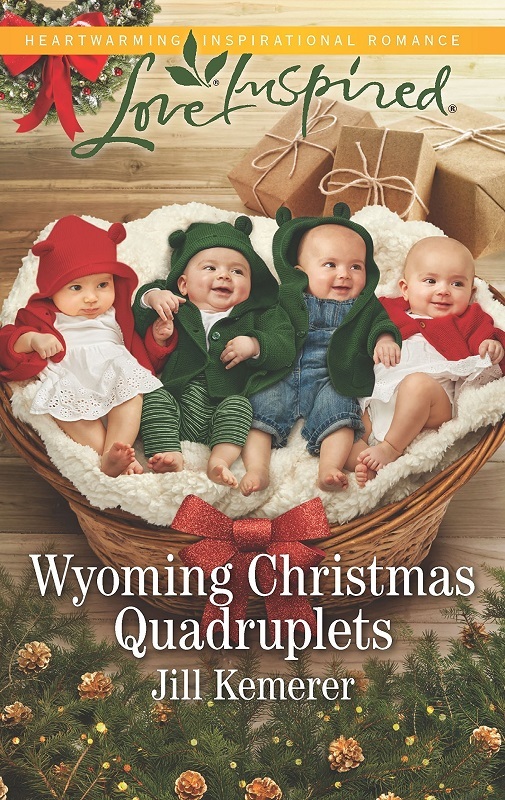 And this includes the 'forever wait' for highly anticipated stories like, "Wyoming Christmas Quadruplets," to release! Just like a kid, when it comes to Christmas, I hate the wait. Vince, I'm not as likely to read Christmas stories in February, March or April, but I love reading them in the summertime. When it's 100 degrees outside, they're a perfect read for me. Honestly, I may only read on between Halloween and New Years and that may be because I have the option of watching Christmas movies on Hallmark during that time to give me that fulfillment. But as far as I'm concerned, there's never a bad time for a Christmas story. I love Christmas stories. I'd happily read them all year round. Mary, I'm in total agreement. Love Christmas stories any time of the year. I must admit that I am surprised by the response to reading Christmas books during the off-season. For example, how many Christmas romances have you read this year between 1 February and today? I believe the answer for me is 0. "Do you buy more total romances during the Christmas season because Christmas romances are more inviting at this time?" For me the answer is yes. Christmas romances actually motivate me to buy and read more total romances. Do you think you should market your Christmas works in the summer or save the efforts for the fall season? Vince, I've read two Christmas books so far this year. Since all I read is romance and my reading time is limited, I don't buy more at any one time of the year than another. I usually purchase the Kindle versions. That whole instant gratification thing. You got it, Winnie. And isn't it interesting, the psychological effect books can have on us? How just reading about cooler weather can help us beat the heat.